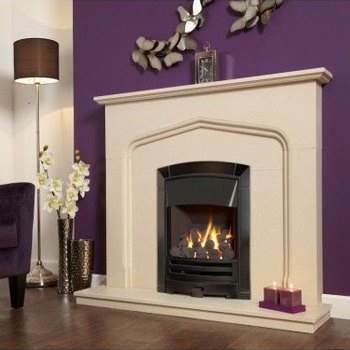 With the passage of time, the popularity of gas fireplaces is gradually increasing among many British households' day by day. 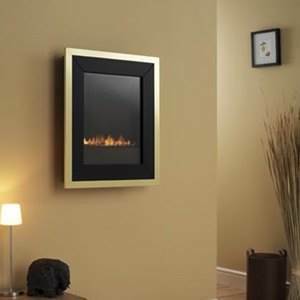 The modern gas fires, due to their excellent heat efficiency and clear fire images, are found on the hit list of homeowners looking for the best heating products. 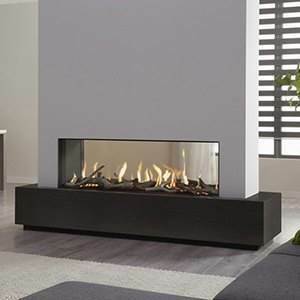 Nowadays, the traditional wood burning fires are used less due to the painstaking effort of buying and replacing the logs, cleaning out the ashes and overall maintenance of the fire. 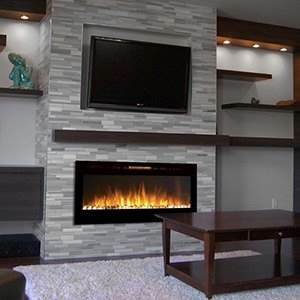 The new natural gas or propane powered fires are rising with popularity due to its high efficiency and ease of use, not to mention that they are much safer. 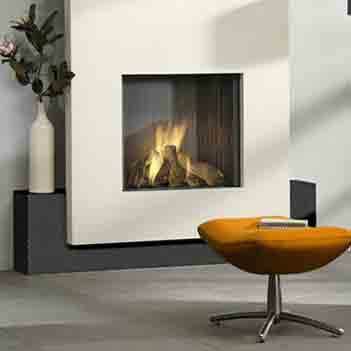 These fires come in different installation options, there are: inset, wall mounted, hole in the wall and freestanding. 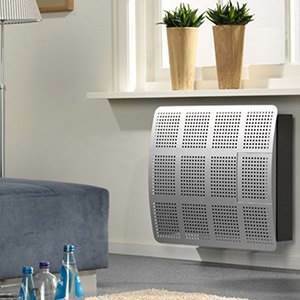 The gas heaters offered by Banyo also have high demands in the market as they can be operated solely on the gas fuel and are perfect to be used in case of shortage in energy supply. 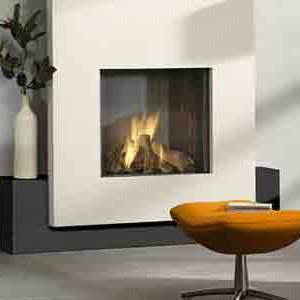 The gas heaters come in a variety of heat outputs, allowing you to heat up a large room or a nice cosy study with ease. 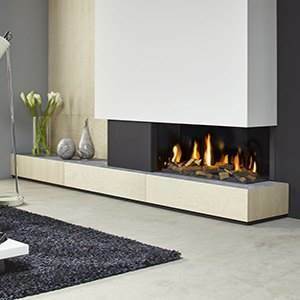 With excellent heat output and high-efficiency rating, these fires come with the choice of manual controls, slide controls, and/or a programmable thermostatic remote control. They also come in different finishing materials like stainless steel, cast iron, glass and chrome with various colour options, all of which are designed to look outstanding with modern and traditional styled interiors alike. There are often two versions of flue available in them: balanced flue and conventional flue. They also come with various fire-view styles i.e. front-view fires, corner fires, 3-sided fires and see-through/tunnel fires. 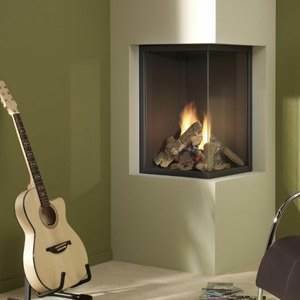 The balanced flue fires are more popular because of their high-efficiency heat output and they have no need for a chimney. 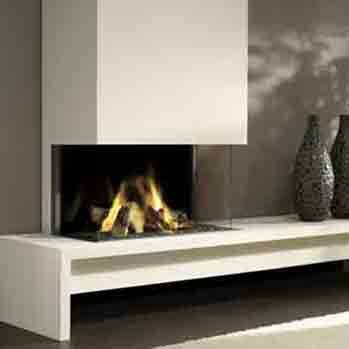 The fires with front-view further have two versions as they are either glass-fronted fires or open-front fires. 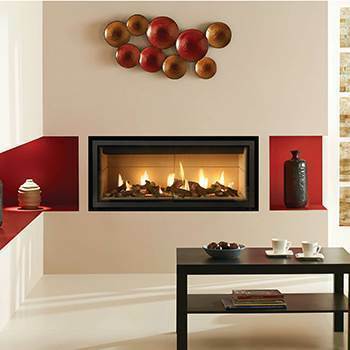 These fires have different lining options, for instance, vermiculite lining, brick-effect lining, and black red lining. 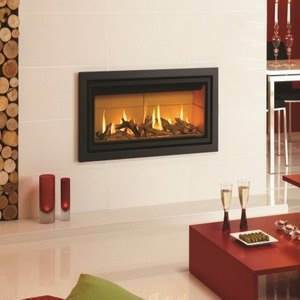 The fires and gas heaters offered by Banyo are manufactured by the well renowned and popular brands in the UK and some of them are as Gazco Fires, Dimplex, Flamerite, Flavel, DRU and Valor.